After leaked in Images, and revealed by TENAA, the Honor Note 10 has been officially launched in China. It is high-mid range device comes with a 6.95-inch HDR10 display, 8GB RAM, Dual Rear Cameras, Dolby Atmos, CPU Turbo, GPU Turbo and Double Turbo mode from the Huawei being launched today. 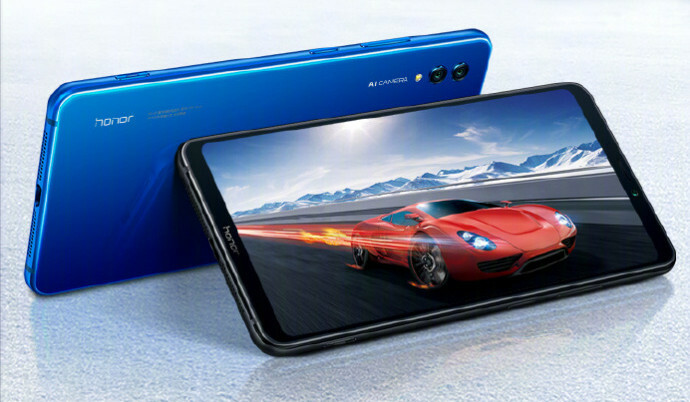 The Honor Note 10 price in China starts from CNY 2,799 – approximately $409 for the 6GB RAM with 64GB storage version, the 128GB storage version costs CNY 3,199 – approximately $468, and 8GB RAM with 128GB storage model will cost CNY 3,599 – approximately $527. 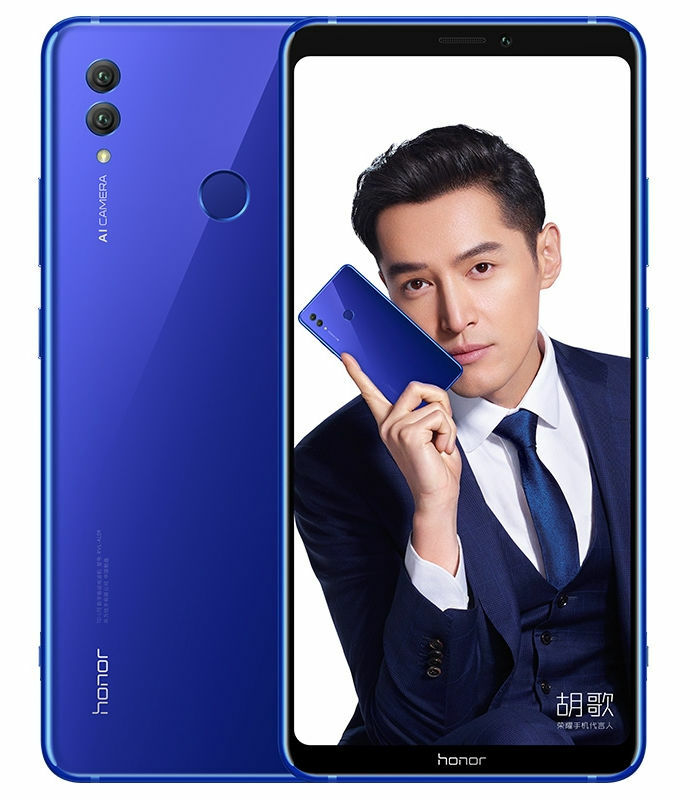 It will go on sale in China from August 1, 2018 and the device comes in Midnight Black and Phantom Blue color options. The Honor Note 10 features a 6.95-inch 2.5D curved glass AMOLED display with Full HD+ (2220 × 1080 pixels) resolution, 18.5:9 aspect ratio and 115% NTSC Color Gamut. The device uses ‘THE NINE’ liquid cooling technology offering 8-layer heat dissipation. The outer heat dissipation layer has PC-grade liquid cooling pipe that promises 41% increase in heat dissipation and CPU temperature reduction of up to 10° C.
It is powered by a 2.4 GHz octa-core processor which supported by Huawei Kirin 970 10nm Mobile Platform with Mali-G72 MP12 GPU along with the i7 co-processor, CPU Turbo, GPU Turbo and Double Turbo mode with a dedicated hardware button to launch it, for an ultimate performance. It packs 6GB of RAM with 64GB / 128GB of storage, 8GB of RAM with 128GB of internal storage, which can be expanded via microSD card up to 256GB. On the camera front, the Note 10 flaunts a 16-megapixel rear camera with f/1.8 aperture, PDAF, CAF, LED flash and secondary 24-megapixel camera with f/1.8 aperture and AI scene recognition. There is a 13-megapixel front-facing camera with f/2.0 aperture and intelligent scene recognition. The Honor Note 10 also has a rear fingerprint sensor and dual speakers with Dolby Atmos audio. The handset runs on Android 8.1 Oreo -based on EMUI 8.2 out of the box. It packs a 5000mAh battery with support for 5V/4.5A super fast charging technology. It supports hybrid SIM slot with dual standby. For connectivity includes 4G VoLTE, 3G, Wi-Fi 802.11 b/g/n/ac, GPS, A-GPS, Bluetooth 4.2 LE, NFC, and USB C. The device measures 177×85×7.65mm and weighs 230 grams.